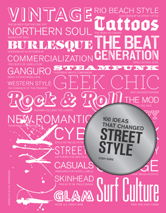 From the earliest cave paintings through to the internet and street art, this inspiring book chronicles the 100 most influential ideas that have shaped the world of art. 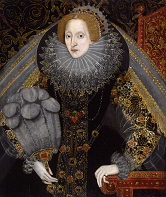 Reveals the hidden histories of paintings in the National Gallery, London. 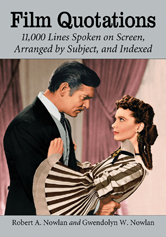 With a treasury of fascinating facts, discoveries, and tales, this book describes the flight a work took down a mountainside and the portrait that appeared in a James Bond film, among many other entertaining events and stories. 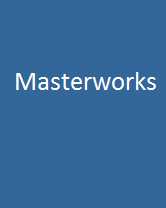 The Masterworks Collection is a rich collection of art history videos. 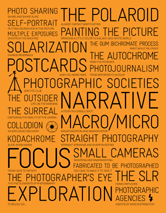 Each short documentary showcases an artist and a key piece, illuminating the context and history of the work. 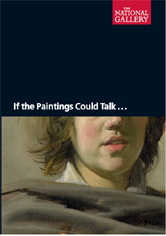 Comprehensively illustrated and compellingly presented (detailed narration accompanies each film), these films provide a deeper insight into master works of painting. 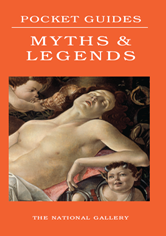 Myths and legends, with their fantastical settings and parade of exotic creatures and beautiful immortals, have inspired some of the most popular works in the National Gallery Collection. 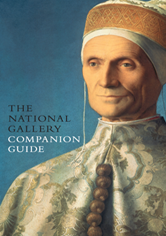 The latest addition to the best-selling Pocket Guides series leads the modern viewer through this important aspect of Western art. 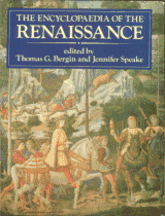 Contains entries covering music (eg Palestrina), architecture (eg palazzo), war, diplomacy (Machiavelli), religion, literature and social history, as well as the visual arts (eg Leonardo da Vinci). 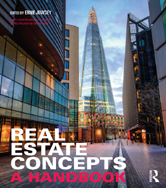 Includes entries written by major scholars such as Dennis Arnold, Brian Pullan and Marie Boas Hall. 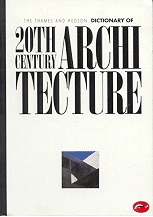 Entries cover not only the lives and careers of the main participants - painters (eg Monet), critics (eg Zola), patrons, dealers and collectors, as well as writers and musicians - but also techniques, prices and localities, while a wealth of information on the cultural, social and political background helps to set Impressionism in context. 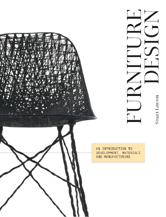 Comprehensive in scope, this title's range spans terms encountered in the practice of architecture from Classical to green, from traditional materials to the latest products, from precise definitions of architectural styles to the particulars of specifications writing. 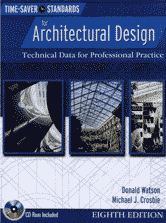 One of the most widely recognized and respected resources for architects, engineers, and designers, bringing together the knowledge, techniques, and skills of some of the most well-known experts in the field. 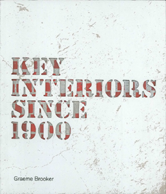 This book defines the history of modern interior design through the reuse of existing buildings. 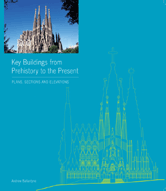 This approach allows the history of the interior to be viewed as separate from the history of architecture and instead enables the interior to develop its own historical narrative. 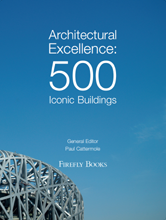 This book features some of the most important buildings in the history of world architecture - from the pyramids and Parthenon to some of the most significant works by recent architects. 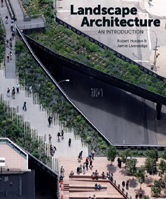 Aimed at prospective and new students, this book gives a comprehensive introduction to the nature and practice of landscape architecture, the professional skills required and the latest developments. 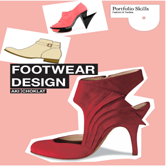 Aki Choklat explores the footwear design process, explaining the differences between the anatomy of the foot and the anatomy of a shoe, showing how one constrains the other, before moving onto the research and design development processes and the art of creating a complete collection. 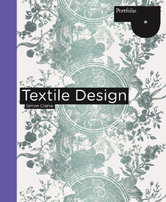 This book offers students and those wishing to enter a career in textile design a basic grounding in its three main disciplines - printed, woven and mixed media. 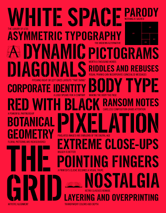 A comprehensive guide to international developments in graphic design. 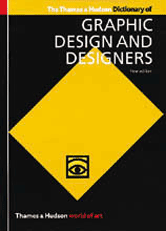 From pre-industrial printing presses and medieval typography to computer graphics and avant-garde stylistic advances, a wealth of entries elucidate technical terms and detail movements, media, advertising, corporate identity, posters, packaging, and magazine and book design, placing graphic design in the wider context of the history of fine art and illustration. 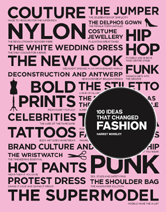 100 Ideas that Changed Street Style is a look-by-look dissection of the key ideas that changed the way we dress -- from the middle of the 20th century to the present day -- explaining the most iconic items of clothing and how they were worn, what the look was born of, its cultural background, how it was received, and how it still resonates in fashion today. 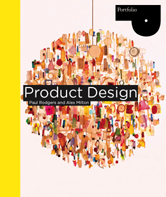 This book demonstrates how ideas influenced and defined graphic design, and how those ideas have manifested themselves in objects of design. 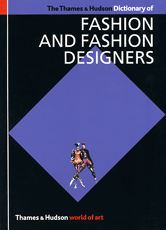 The 100 entries, arranged broadly in chronological order, range from technical (overprinting, rub-on designs, split fountain); to stylistic (swashes on caps, loud typography, and white space); to objects (dust jackets, design handbooks); and methods (paper cut-outs, pixelation). 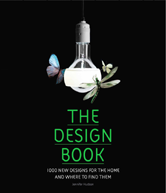 Covering over 1300 artists, this dictionary is made up of alphabetically arranged entries for painters (such as Monet), architects (such as Aalto), and sculptors (such as Brancusi) from pre-Christian times to the present (see, for example, Berlin painter, Hockney). 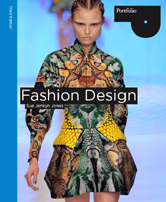 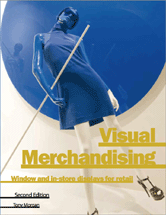 The coverage of the book is truly global, with many Asian and African artists included. 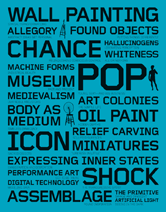 Each artist's entry includes dates, training, career, influences on his or her work, and, for approximately one-third of the artists, a bibliography of further reading. 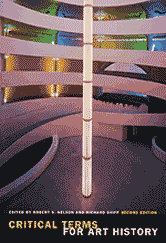 A unique and comprehensive collection of art masterpieces of all varieties: historical, European, Asian, American, and more. 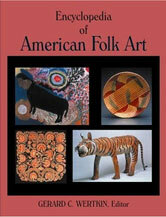 Illustrated with both black and white and full-color photos, this A-Z encyclopedia covers every aspect of American folk art, encompassing not only painting, but also sculpture, basketry, ceramics, quilts, furniture, toys, beadwork, and more, including both famous and lesser-known genres. 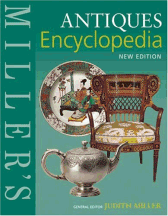 Packed with information on materials and techniques, feature boxes containing information and marks, practical advice on how to identify a fake, and tips on caring for and displaying your collection. 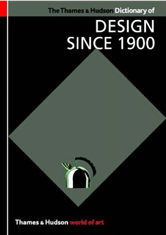 Founded in 1856, the aim of the National Portrait Gallery, London is "to promote through the medium of portraits the appreciation and understanding of the men and women who have made and are making British history and culture, and ... to promote the appreciation and understanding of portraiture in all media". 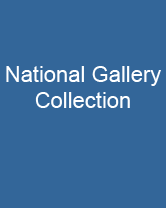 The Gallery holds the most extensive collection of portraits in the world. 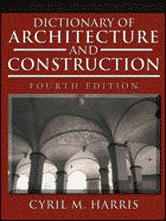 International and up-to-date, this copiously cross-referenced dictionary provides information on artists, paintings, sculptures, drawings, prints, schools and movements, including essential information on contemporary art and artists, not available elsewhere, and on techniques, materials, terms, and writers who have influenced artists. 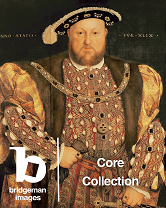 Covers British Art through every period from the Anglo-Saxons to the present day, and every significant medium, from painting, sculpture and printmaking to medieval goldsmiths' work and stained glass. 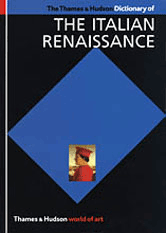 Includes up to date information on hundreds of artists, from Blake to Bacon and Constable to Kauffmann, and in-depth coverage of general topics such as schools, concepts, techniques, institutions, patronage and art criticism. 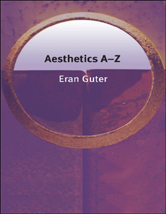 Covers the key concepts, arguments, problems and figures in aesthetics and the philosophy of art. 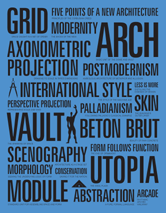 This substantial and ambitious dictionary explores the languages and cultures of visual studies. 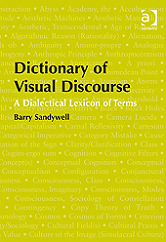 It provides the basis for understanding the foundations and motivations of current theoretical and academic discourse, as well as the different forms of visual culture that have come to organize everyday life. 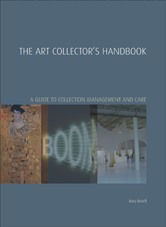 This book, probing a number of resources and incorporating advice from top experts in the field, offers guidance on collection management and care, and serves as an important reference guide for collectors and those charged with managing collections.